Jerry Greene was one of nine children born to Patrick and Rose Greene. The family lived on a farm southeast of Wetaskiwin and shortly after Jerry was born the family moved to Wetaskiwin. Jerry was a well known sportsman in Wetaskiwin from 1948 when he began playing minor hockey until 1984 when he was transferred to Coronation by his employer Northwestern Utilities. 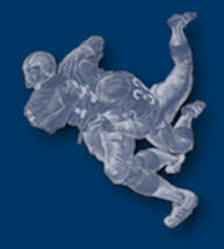 Jerry participated in football, fastball, and hockey. He was a player, coach, fund raiser and executive member and contributed to sports in Wetaskiwin on every level. As a player and as a coach, Jerry Greene was on teams that won 18 championships. In 1954 when Jerry was in Grade 9 at Sacred Heart Junior High he was recruited to play in the new Wetaskiwin High School football program. 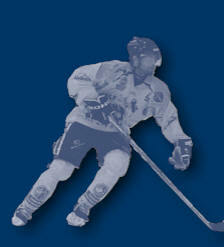 He then played for the Sabres team in Grades 10, 11 and 12. Those three years, 1955, 1956 and 1957, the Sabres were Central Alberta High School League champions. Besides football, Jerry was also a fastball player and played on the Wetaskiwin Sports Shop team that won the league championship in 1959 and again in 1964. Of all of the sports he participated in hockey was Jerry’s “first love”. He began playing in 1948-49 at the age of 10 and played at all levels: Peewee, Bantam, Midget and Juvenile. After Juvenile, at 18 years of age, Jerry played as a forward on the Wetaskiwin Colonels Intermediate Hockey Team in 1956-57 and then again in 1957-58. At that time the Colonels played in the Battle River Hockey League but the team suspended play when the Wetaskiwin Arena was declared structurally unsafe. When the new Civic Centre opened in 1962 the Wetaskiwin Colonels Hockey Club was re-organized and the Colonels began to play in the new six-team North Central Alberta Intermediate Hockey League. Jerry played defense with the Colonels from 1962-1975 and subsequently coached the 1975-76 team, that being the last year of the league’s existence. 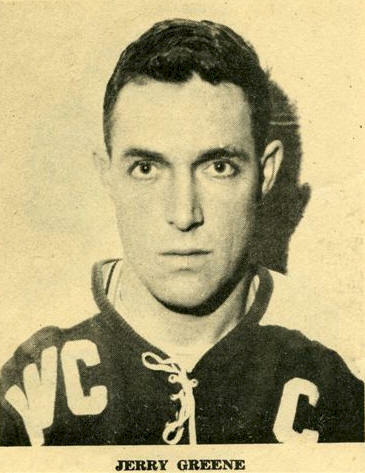 During his playing years the Colonels won four League Championships, two Provincial C Championships, and two Provincial B Championships. Jerry’s was a dominant force on the Colonels Hockey team and his outstanding play was recognized by being named League All-Star Defenseman five consecutive times, from 1963-64 until 1967-68. In 1969-70 he was voted the League’s Most Valuable player. His own team-mates voted him MVP in 1964-65 and 1966-67. Jerry was the team leader and served as captain from 1963 until his retirement as a player after the 1974-75 season. Always a team player, he led by example. At 6 ft and 175-180 pounds, he was a tough, gritty, determined competitor. After a short absence from hockey, Jerry joined the Wetaskiwin Relics as a player-as-needed at various tournaments. He did play a complete season with the Relics in 1978 when they won bronze at the Pacific Cup Tournament held in Victoria. He also played with the Relics again at a tournament in Victoria in 1983. When he moved to Coronation, Jerry continued playing Old-Timer Hockey. Jerry began coaching hockey during the time that Wetaskiwin had no covered arena. He started with a Midget team and moved up when they became Juveniles. Many of the players he coached on those teams became Colonels in the 1960’s. Besides coaching, Jerry also became involved in the administration of the Wetaskiwin Minor Hockey Association between 1970 and 1975. For three years (1972, ’73 and ’74) he served as President while still continuing to coach the Kinsmen Midgets. Besides this involvement, Jerry also served a President of the Wetaskiwin Colonels Hockey Club from 1971 until 1975. He, the directors and the arena officials and volunteers were well organized. The Club functioned effectively and was successful financially. A club esprit de corps was evident. In 1968-69 Jerry served a player-coach for the Colonels and that year the team won its first Provincial C Championship. Because of his contributions, the Wetaskiwin Colonels held a “Jerry Greene Honour Night” at centre ice during an intermission at a game played February 11, 1972 at which the master of ceremonies outlined Jerry’s participation and awards received to that point in his career. Jerry and his wife Earleen were the recipients of several gifts to commemorate the occasion. Jerry also served as President of the Wetaskiwin and District Minor Fastball Association from 1970-1975. He and Evva MacKay (another 2009 Inductee) were the driving forces, and spent countless hours, in the administration of the association, organizing events and carrying out all of the other duties involved in running the leagues, playoffs and provincials. Jerry also coached and managed fastball teams. He was the manager of the Wetaskiwin Bantam Fastball team that won the Provincial Championship in 1959; he coached the Wetaskiwin Sport Shop Midget Fastball team to a Provincial Championship in 1970 and in 1978 coached the Wetaskiwin Tire Town Pee Wee Fastball team to another Provincial Championship. Jerry Greene’s devotion to coaching teams and administering various organizations along with the way he ”played the game”, especially hockey, embodies the true essence of sport in Wetaskiwin. He was a “home town hero”, respected by his teammates and the whole community. Many of his teammates felt he instilled in them qualities which shaped their lives positively. It is a privilege to induct Jerry Greene into the Wetaskiwin and County Sports Hall of Fame as an Athlete-Builder.